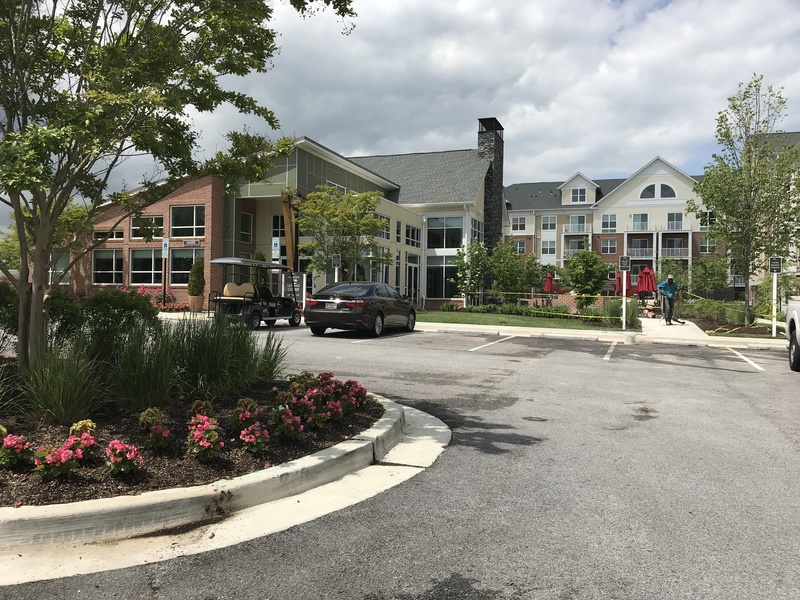 The Modera Westside multi-family development is part of a larger 56.63 acre mixed-use development that also includes townhouses, hotel and a retail center. 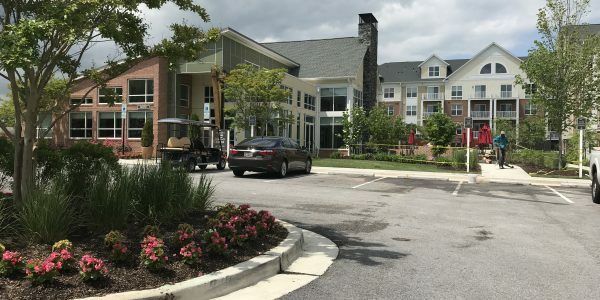 The property, which enjoys a prime location minutes from I-95 and adjacent to the future Konterra mixed use town center, was annexed into the City of Laurel in 2012. The project is built on reclaimed land that had been previously mined for sand and gravel. An existing stream and two major water lines define the boundaries on two sides of the property. 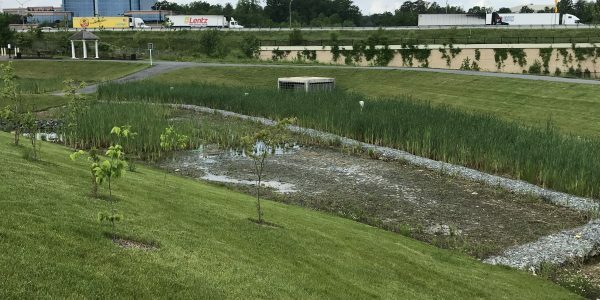 A large sediment control pond needed for the mining operation had to be converted to a sediment control pond then stormwater management pond for the multi-family development. 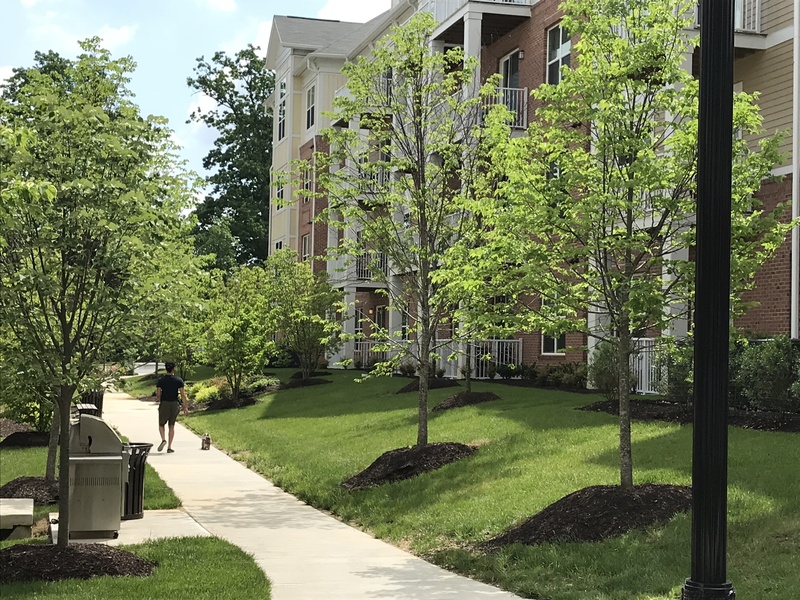 Before the apartments could be constructed, GLW designed a 1,700’ long public street which had to be built and dedicated to the City of Laurel to provide access to the land-locked multi-family property. GLW provided full entitlement processing services from rezoning to site plan approval. 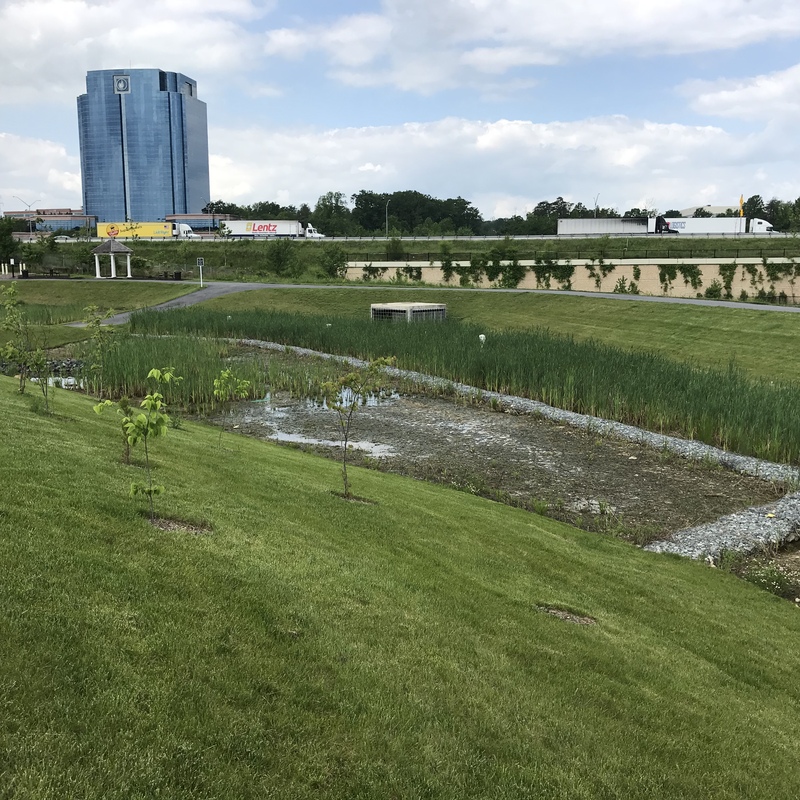 Site grading and engineering focused on designing a submerged gravel wetland in the stormwater management pond that could handle both water quality and 100 year flooding events for most of the larger 56 acre property. A single sanitary sewer location required all site grading and sewer design to accommodate future on-site development. 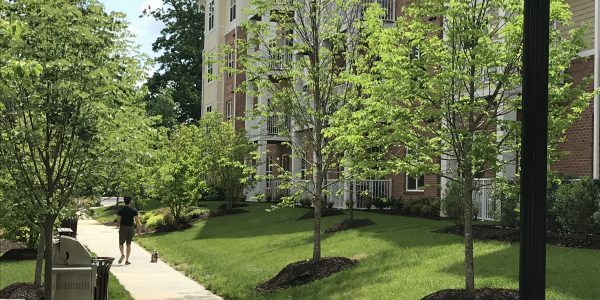 To allow construction of the apartments over the former sand and gravel mine, GLW provided detailed settlement monitoring of soil compaction during the backfilling operation. The entrance road was designed and located to allow for a large berm and landscaping to buffer views of the development from the adjacent residential neighborhood.